Interview Michael Kenna photo-eye Gallery is honored to host the revered Michael Kenna for an artist reception this upcoming Friday for Michael Kenna: A Retrospective. The exhibition features selected work from 30 years of Kenna's career and from countries around the globe. Regarded as one of today’s most influential photographers, how does one lay the groundwork for such a prolific career? Gallery Associate Savannah Sakry asked Kenna to share a bit of his background and inspirations. photo-eye Gallery is honored to host the revered Michael Kenna for an artist reception this upcoming Friday for Michael Kenna: A Retrospective. The exhibition features selected work from 30 years of Kenna's career and from countries around the globe. 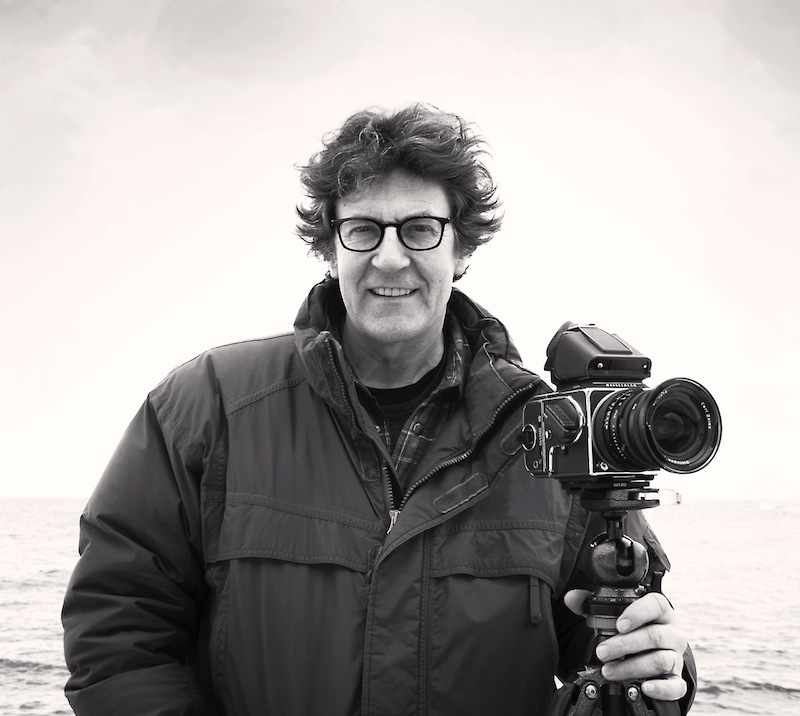 Regarded as one of today’s most influential photographers, how does one lay the groundwork for such a prolific career? Gallery Associate Savannah Sakry asked Kenna to share a bit of his background and inspirations. 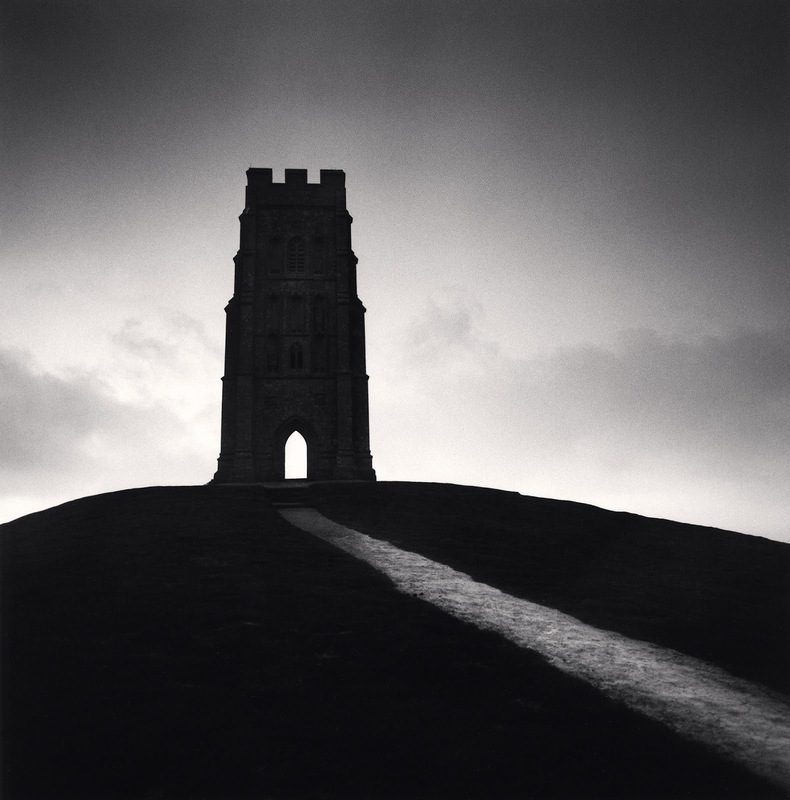 Michael Kenna: A Retrospective is on view at photo-eye Gallery through September 10th. The artist reception and book signing will take place on Friday, August 5th from 5 – 7 PM. Savannah Sakry: When did you unveil your passion for photography? Was there a “decisive moment"? 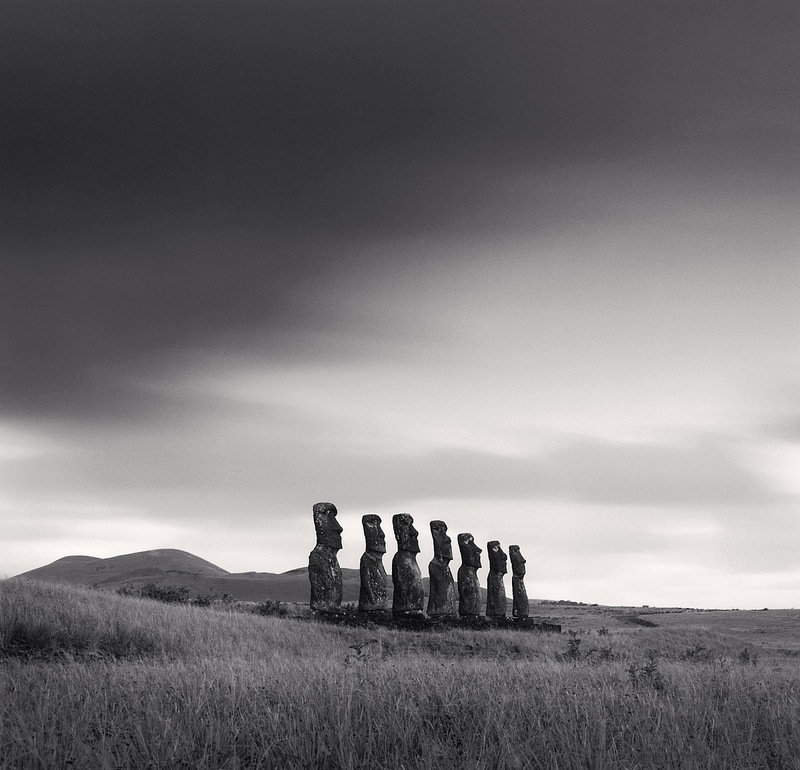 Michael Kenna: To the best of my knowledge, there was never a decisive moment when I suddenly decided to become a photographer. Rather, many factors, experiences and decisions, great and small brought me to this life path. I was born and brought up in what might be described as a poor, working class family in Widnes, an industrial town near Liverpool in England. Childhood experiences obviously have a great influence on one’s life and as a boy, even though I had five siblings, I was quite solitary, content for the most part with making up my own adventures and acting them out in the local parks and streets. I liked to wander in train stations and factories, on rugby grounds and canal towpaths, and in empty churches and grave yards, all locations that I would later find interesting to photograph. Even though I did not use a camera at the time, I suspect this period was ultimately more influential on my vision than the time I later spent in art and photography schools. During these young years I had been an altar boy at my local Catholic church of St Bede’s and I really loved to be part of the great rituals of the church, assisting the priest at baptisms, funerals, weddings and the Latin mass. When I was almost eleven years old I went to a Catholic seminary boarding school, to study to become a priest. I would stay there for seven years. It taught me many important things, and there were certain aspects of this religious upbringing that I believe also strongly influenced my later work: discipline, silence, meditation and a sense that something can be unseen, yet still present. In retrospect, the education was excellent, although the “career guidance” was not very strong. Fortunately, I seemed to be good at drawing and painting, so, following these interests, I went on to study at the Banbury School of Art in Oxfordshire. I then specialized in photography at the London College of Printing where I was trained as a commercial photographer. I learnt about photojournalism, fashion photography, sports photography, still-live photography, architectural photography, all sorts of photography with many different cameras and formats. When I graduated, I was supposed to be able to survive in the competitive commercial photography world. Running parallel to this, I was also photographing the landscape, and this was very much my own passion and hobby. I had no idea that I could and would eventually make a living in this area. SS: Over the years, which artists and cultures have been the most influential to your work? MK: My early background was in the UK and I suppose I therefore come out of a European tradition. My first photographic masters were Eugene Atget, Bill Brandt, Mario Giacomelli and Josef Sudek, amongst others. These photographic giants, and then later when I moved to the USA: Ansel Adams, Ruth Bernhard, Harry Callahan, Alfred Steiglitz, etc., have all influenced me greatly. I suppose they are all romantics at heart, concerned with photographing a feeling as much as documenting external reality. Eugene Atget inspired me to photograph the Le Notre Gardens in and around Paris. His dedication to photographing Paris all his life taught me that nothing is ever the same. The same subject matter can be photographed in many different ways and in different conditions. 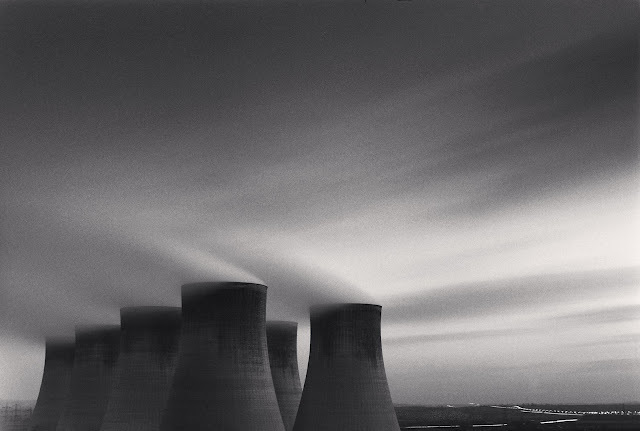 Bill Brandt took me back to the industrial towns in the North West of England. He showed me that beauty is very much in the mind of the beholder and I would go on to photograph power stations and factory interiors. His sense of drama, even melodrama, his use of atmosphere, his willingness to completely change reality into an abstract and graphic print, all helped my own vision. He also taught me the value of empty space in an image. Mario Giacomelli’s sense of powerful two-dimensional black and white abstraction and design also profoundly affected me. Here was somebody who would use a thick marking pen to fill in black lines on the photographic print. I loved his liberation from the traditional “fine art photographic print.” Josef Sudek taught me that light can emanate from within the subject matter rather than only illuminate the exterior. His images reminded me of infrared studies. His commitment to photograph only Prague was also instructive. With all these photographers I actively searched out places where they had photographed, their camera angles and techniques. In the USA I began to work with Ruth Bernhard. I cannot over estimate her influence on both my life and work. Ruth often said that she regarded her role of teacher to be far more important than her role of photographer. As a young photographer trying to navigate in the extremely puzzling world of art galleries, publishers and commercial agents, Ruth was a guiding light. “Today is the day” was her mantra, and her determination to live in the present, to appreciate every moment, to always say yes to life, has left an indelible impression on me. Before working with Ruth I thought that I was a good photographic printer. I had printed my own work and that of a number of other photographers along the way. However, Ruth gave me new insights into the process. Her basic starting point was that the negative was a starting point! She would radically transform an initial straight print into a Ruth Bernhard print. This might involve tilting the easel to achieve a different perspective, softening the focus to create an evenness of tone, making masks to burn and dodge, using different chemicals to change the contrast or color of the image, etc. She essentially refused to believe that the impossible wasn’t possible, and that there were no rules that couldn’t be broken, which made for many late and interesting nights in her darkroom. SS: You once said that you aren't very interested in taking ownership of your photographs. Instead, you see them more of a collaboration. Can you tell me more about this? MK: I am constantly aware and appreciative of the fact that for the most part I am photographing subject matter which I don’t own or have any exclusive relationship with. For example, trees have lives of their own. When I photograph one, I don’t suddenly consider it mine. The tree and I, as well as the countless other elements and people involved, have collaborated to form a photograph. I will digress a little here but this feeling of needing to share, rather than own, came about when I was photographing World War Two Nazi concentration camps in Europe during the late eighties and nineties. When I first began this project, the division between East and West was crumbling and I was able to access to many concentration camps in places which were previously quite difficult to reach, e.g., Poland, Latvia, Czechoslovakia, East Germany, etc. These camps were potent with atmosphere and remnants of the past were everywhere. They hadn’t yet become museums. I felt that I was in the right place at the right time to document that state, before masses of people visited and inevitable changes took place. However, I had no immediate connection to any survivors or victims of the camps, and I felt there was something inappropriate about this project unless I could clearly state to myself that this was not for my personal gain or profit. So, I made a decision to give away all the images I made. This gave me immense creative freedom. For the next ten years I searched out and explored all the camps I could, as my personal contribution to the Holocaust memory. I photographed with humbleness, respect and sadness for what had happened. It was a powerful experience. Later I made a set of 300 prints and donated them, along with the 6,000 negatives to the French Ministry of Culture. 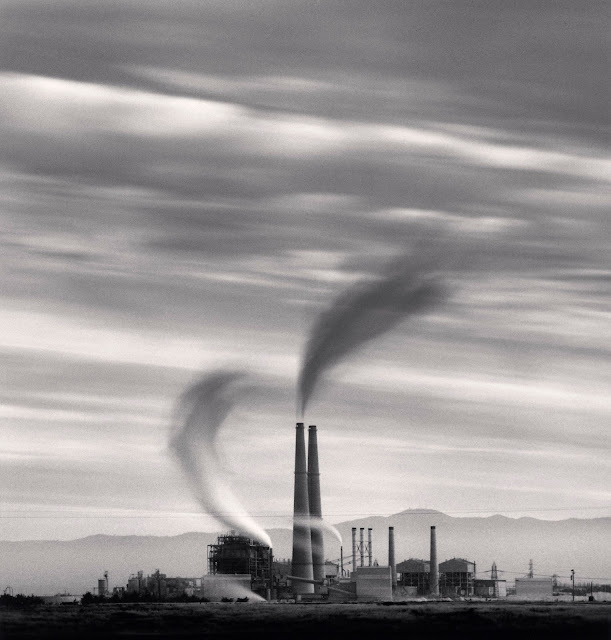 SS: Whether looking at a power plant in California or a single tree in Hokkaido, your images evoke a certain tranquility and peace for the viewer. Is your experience making them similar? MK: I often choose locations where I can be quiet, calm and solitary, as it is my preferred way to work. I look for an atmosphere that resonates with my own senses. At the beginning of my photographic explorations I preferred to photograph in the early morning because I was attracted to the calm and peacefulness, the lack of people and absence of “chatter” in the air. Morning light is often soft and diffused. It can reduce a cluttered background to graduated layers of two dimensional tone. However, regardless of the conditions, even if chaos is going on around me, I still try to present an oasis of calm and solitude that I, and viewers of the final print, can enter into. SS: Your images, either clearly or sometimes more subtlety, offer an observation on man’s history or presence in that space. Are your photographs meant to be a means of preservation? MK: It is not easy for me to define exactly what I photograph because my subject matter has changed over the past 40 years. I look for what is interesting to me, out there in the three dimensional world, and translate or interpret so that it becomes visually pleasing in a two dimensional photographic print. I search for subject matter with visual patterns, interesting abstractions and graphic compositions. The essence of the image often involves the basic juxtaposition of our human made structures with the more fluid and organic elements of the landscape. I enjoy places that have mystery and atmosphere, perhaps a patina of age, a suggestion rather than a description, a question or two. I look for memories, traces, evidence of the human interaction with the landscape. Photographs certainly act as catalysts for one’s memories, and in that way they do preserve aspects of what was. However, in reality what has been photographed no longer exists in the same way, for nothing remains the same. Change is part of life. SS: You have had a significant influence on a number of contemporary photographers; some even regard you as master of photography, architect of a genre. What advice can you offer budding photographers and artists? MK: Using our creative gifts to be best of our potential seems to me, to be a immensely rewarding way to explore life. If I can offer any guidance to others based on my own experiences, I am always happy to do so, and of course, I am delighted if my work helps others find their own vision. I have already mentioned that on my own journey, I have actively tried to see through the eyes of other artists. I have gone to places where my masters have photographed and have consciously emulated their style and subject matter. It has been thus throughout history in all mediums of creative expression. One advances by "standing on the shoulders of giants." The perspective becomes a lot clearer from such high ground. Ultimately, however, the goal is to find one’s own vision. The search can take a long time and it is rarely easy. My advice to any budding artist therefore is never to be satisfied with just imitating others. This is but a means to an end. Any serious artist will work with passionate intensity to discover themselves, their own personal vision. I believe this is a fundamental part of an artistic path. 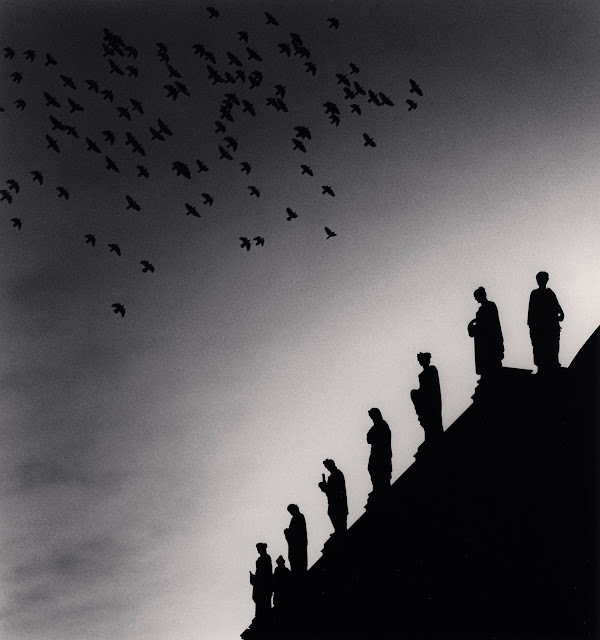 SIGNED and Limited Edition Michael Kenna books are available from photo-eye Bookstore. Please note that supplies are limited.